Bulgaria, Denmark, France, Iran, Israel, The Republic of Moldova, The Netherlands, Hungary, Czech Republic, Ireland, Romania, United Kingdom and USA. 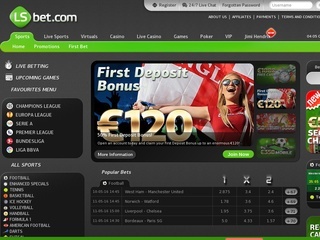 LSbet is one of the new online bookmakers that was established in 2012. 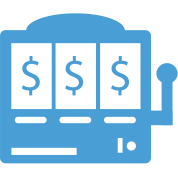 Despite the fact that they’re relatively new in the online gambling industry, the site quickly gained popularity and is now and established brand amongst famous bookmakers. The site is owned by Media Entertainment N.V. and operates under the jurisdiction of Curacao. The business tries to tackle bigger names in the industry with innovation and excellent betting markets strategy. They don’t have the advertising power of already established brands but still manage to rank in top 50 of the most renowned bookmaking platforms in the world. Serving more than 20 countries around the globe they look to expand in more countries by acquiring more and more users. The company knows that they have to tackle a stiff competition from more well-known brands and they sure try to make their stand by offering excellent bonuses and great odds. What the company lacks is experience, so they make up in great customer support and excellent betting experience. Apart of this, the bookie has a great potential and you should give it a chance. You never know when the ugly duck will become a beautiful swan. The first time you enter the site you’ll notice how rich it is bonuses and betting offers. You’ll quickly find your way through the different menus to find out just how deep are the betting options inside. You will have to choose from sports, casino, live sports, live casino, games, VIP and the interesting Lucky Zodiac betting opportunity. The interface of the site is simple and very intuitive. All the sports are located on the left side starting, of course, with the Major soccer leagues that are the most famous wager players are looking for. One interesting option is the mobile betting menu (Non-flash), where you can access through a mobile device and not be bothered by extra content that slows down your device. Live betting is a must these days for all major betting sites and LSbet doesn’t disappoint by offering wagers for every major on-going sporting event. The online bookmaker supports many other games. There are both live and normal casino, as well as various slot games. Numerous opportunities await the players in the casino. Blackjack, roulette, video poker and other games are available for every fan. LSbet has won its reputation as one of the top online betting sites by offering great wagers for all sports. As expected, soccer is very well covered with over 50 odds available for a single match. Bets like a win, total goals, double chance, both teams to score, handicap and last team to score are available. For users who want to try their soccer knowledge and bet on more exact wagers, there are plenty to choose. Specialty bets such as goals by quarter, first goalscorer, corners, cards or correct score are also available. Odd formats are only EU (Decimal). Trying to stay close to their competition the site offers a very comprehensive customer support service. Languages supported for the site are various, you can learn more on them in the tables. The site doesn’t offer a 24/7 support but makes up for it with excellent languages support where employees can help you in 11 different languages. And while other sites may take a day or two to respond this one has an average of 10 min response time. How cool is that? Live chat is a must for modern online betting platforms nowadays, and the site delivers. The standard for the internet SSL encryption is also available to make sure your personal data is safe and secure. An F.A.Q. Section is comfortably placed in the right corner of the interface. There you can find a lot of answers to questions asked by most of the customers. To make it easy for their customers LSbet has made available all famous depositing methods available. Numerous payment options are supported and you can see them all in the table. Digital wallets are a must for a modern bookmaker that’s why LSbet offers this type of deposit method. Minimum deposit amount for users is €10 which is an average amongst bookmakers. The minimum withdrawal amount is also set to €10. Minimum betting amount is set to €0.01. Withdrawals are made with the same method you have deposited the money. There are no charges for any deposit or withdrawal amount that is also nice. Battling with the major names in the industry LSbet has a very attractive bonus system for new and already registered players. 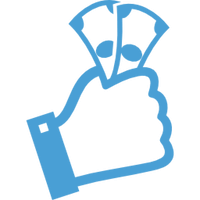 You may think that 100% on your first deposit bonus up to €120. It must be requested in the player’s account menu within 7 days after the first deposit was made. In order to qualify for this bonus, the player must play through the full amount of the first deposit at least one time with odds no less than 1.50 and the good news is that there is just one time roll-over requirement. It depends on your location what will be the roll over requirement. For example, for player from Portugal, Russia and Spain the roll over required is at least 5 times but for players from Poland and Sweden it is 4 times. 100% Casino First Deposit Bonus up to €300 is quite tempting too. There is also the 20% reload bonus for Derby matches in the Premier League for up to €150. There is also the option to place eight in-play single bets on football matches, and the site will give you up to €50 free bet. Every weekend you have the chance to earn 10% CashBack Bonus for up to €50 when betting on sports. If you make a bet on a football game, and it ends 0-0 you can get a 100% refund for up to €25.